Discussion in 'Forum Introductions (Who are you!?)' started by Agbaya, Aug 13, 2018. As the title says, I've been a longtime lurker on this forum. Today I finally took the plunge and joined this community. I read The Millionaire Fastlane back over the summer of 2016 when I was 18 years old towards the end of my Senior year of high school. 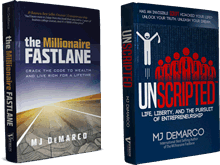 At the time, I was already beginning to doubt the effectiveness of the conventional wisdom of going to school to get a great job, but the way @MJ DeMarco broke down all the flaws of the Slowlane still blew my F*cking mind. From that moment I knew I had to figure out how to live on the Fastlane. But I was only merely interested at that point. Over that summer I got caught up in the excitement of moving out and going to college. As a result, TMF lived largely in the background of my mind as I gorged myself for two years on girls, booze, and parties. Even with all my debauchery, I'd still check in on the forums from time to time and browse through threads. Soaking up all the information people would contribute, without taking action on it. Finally my crazy life style caught up with me. In around March of this year I suddenly fell into a bout of depression. I couldn't figure out why I suddenly lost my desire to do anything but I just did. As a result I stopped going to class and failed that semester of school. Straight Fs all the way down. Of course my parents weren't pleased about this and had me move back home to finish the remainder of my schooling. The silence that came with moving away from my noisy college town finally gave me the clarity I needed to figure out what was going on in my life. In short, I realized that my depression and existential angst came from not having anything to strive for. I had allowed myself to get caught up in the hoopla of college life and lost site of my overall vision for the future. So I wrote down specific goals of what I wanted in all areas of my life and started to build habits that would help me achieve them. Now a couple months latter I feel better than ever, and my desire for the Fastlane has transformed into an ironclad commitment to achieve it. Start an eCommerce site: Start an eCommerce site selling a product that addresses a pain point that people will gladly pay to have alleviated. 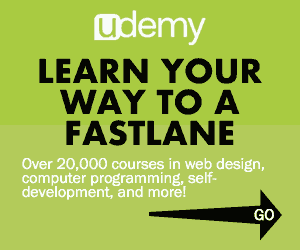 Thank you @MJ DeMarco for writing The Millionaire Fastlane, and creating this community. I will be a solid contributor here helping people out in anyway I can. Once I get the ball rolling on freelancing, I will create a progress thread to document my journey and give me an extra push to breakout of analysis paralysis and action faking (by far my greatest weaknesses). jon.a, Everyman and MJ DeMarco like this. Thanks the intro, welcome aboard neighbor! The Valley is truly a beautiful place to live isn't it? Sure is, outside of the Californians who are moving here and ruining the state's politics, I've been here 20+ years and I still love it.